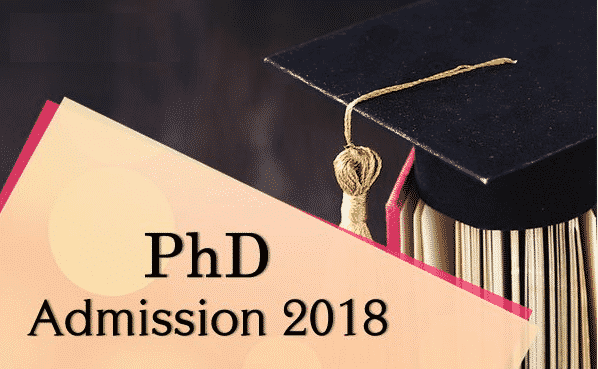 Rajiv Gandhi Centre for Biotechnology (RGCB) invites application for admission to the Ph.D. program (September 2018 session) in various domains of disease biology. Candidates with a post-graduate degree in Chemical/Pharmaceutical can apply. Only candidates who have completed their qualifying degree in all respects will be considered. Applicants with UGC/CSIR/ICMR/DBT/DST-INSPIRE/KSCSTE fellowships must have a first class in their qualifying examination. These fellowships must be valid till June 2019. Upper age limit is 28 years as on September 01, 2018. Age limit will be relaxed for SC/ST/Physically challenged candidates as per Government of India regulation. Applications along with prescribed fees (as a demand draft of Rs 1000/-) must be submitted to The Director, Rajiv Gandhi Centre for Biotechnology, Thiruvananthapuram 695014, Kerala State, India. SC/ST candidates are exempted from paying the processing fees. The last date for receiving completed applications is September 1, 2018. Incomplete applications or those without processing fees will be rejected. Applications (scanned copies/pdf along with a photocopy of the processing fee DD) can also be submitted through Email: [email protected]. All applicants must bring relevant original certificates, mark sheets and the demand draft (if not already submitted).